The increase in exports, which benefited from a record harvest of 120 million tonnes, was due to the growth of demand for Brazilian soybeans from China, which is involved in a trade war with the United States. This trade war meant that the Chinese government decided to apply customs duties to US soy imports, leading Chinese companies to turn to Brazilian producers to meet demand. 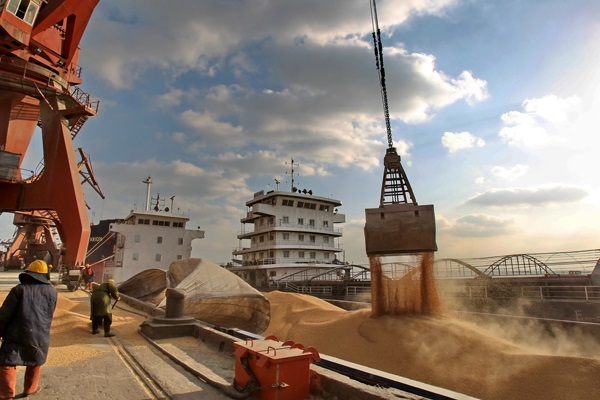 Figures from the Brazilian National Association of Grain Exporters (ANEC) showed that in the first 11 months of 2018 Brazil sent 82% of global soy exports to China, which reached 80.1 million tonnes. In addition to soybeans, coffee also recorded a record harvest of 60 million 60-kilogramme bags, driven by the biennial cycle of the Arabica variety, the one most cultivated in Brazil. The record coffee harvest meant that the number of bags exported in 2018 surpassed the number registered in 2017 by 10.7% with a total of 30.4 million bags or 1.82 million tonnes. Brazilian corn exports fell by 18.3% in 2018 to 23.9 million tonnes and raw sugar exports dropped 21.5% to 18.3 million tonnes and refined sugar fell 42.2% to 3.1 million tonnes.